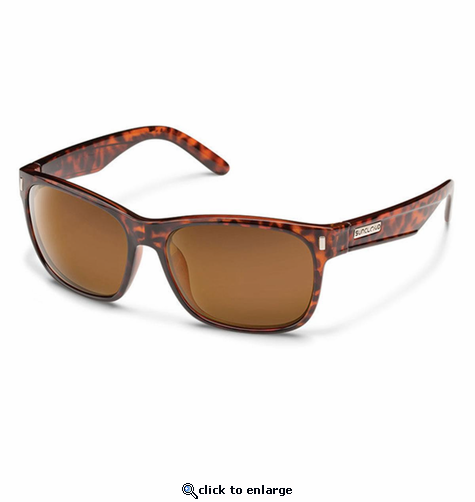 Suncloud Polarized Optics provide glare cutting optics to the sunglass world at an exciting and refreshing value. Contemporary frame styles and colorations define functional fashion and wrap 100% polarized lenses in the finest optical grade materials. For those needing help with the fine details, we offer Suncloud Polarized Readers. Suncloud, unparalleled frame fit, value, polarized lenses and all backed by our genuine LIFETIME WARRANTY. Through advanced lens technology, Suncloud polarized lenses selectively filter horizontally reflected, visually interfering light waves known as "glare" The elimination of direct and ambient glare results in superior visual clarity, definition, color transmission and comfort. And, at the same time, our lenses filter out all harmful UV rays.